2018 was a bust year. I failed to journal any hunts….Maybe it was for the best. This past year, my Garrett who is 12 has taken quite an interest in hunting and fishing…duck hunting, pheasant hunting, turkey hunting, except I don’t think he likes deer hunting as much….kind of like his daddy! The fall and winter of 2018/19 involved several duck hunts and deer hunts. Garrett’s Uncle Matt and I took him duck hunting a couple of times and then I took him on a Continental Pheasant shoot near Centertown Missouri in February 2019. He shot a hen pheasant. I think he’s hook on wing shooting!!! In early April, Garrett’s uncle took us to a new place to turkey hunt near Garden City, Missouri. The land is owned by Stan and his wife Juanita who come for a long family history in the area of farming and the Mennonite Church. Matt worked for them at their cabinet shop in the mid 1990’s to probably 2001 I think. He stayed in touch with them through the years. In sum total, there are about 300 acres of timber and fields to hunt. This family apparently had an overabundance of turkeys eating their garden cabbage and lettuce, so Juanita wanted the population thinned. We arrived on opening day of youth turkey season. My brother napped in his truck until it was time to head to the woods. We heard a dominant gobbler sound off at 6:10 and off to the northwest a few more gobblers from a different bird. Having set up on cedar lined fence row with the dominant gobbler to our back, big mistake, we both called periodically. The bird gobbled on the roost for a solid 35 or 40 minutes, then silence. We heard some hen clucks and yelps about 7:30. At 8:00 Matt started calling again and the gobbler fired off on the ground about 100 yards behind us. Matt started purring constantly and the gobbler just kept rattling off. Pretty soon he appears about 20 yards to our right and I turned my head a little and whispered to Garrett that there was a turkey. Less than ten seconds later, the gobbler turned right back the direction he came from and gobbled 300 or 400 yards to the east. It was the last we saw of him. We picked up our gear, walked to Stan and Juanita’s house. Stan pulled up in his minty GMC 2500 quad cab four wheel drive and got out and waited for us to finish the walk. I introduced myself and Garrett. Matt and Stanley shook hands. We visited for a while and Stan talked about the crop damage loss from the deer over the winter due to wet field conditions and no running combine. As we departed, we observed six or seven strutting toms south of his farm and likely the same bird(s) we heard early in the morning. If we had been facing the cedars and looking through the fence, Garrett might have had a shot at the tom, or could I have moved a little too much when I whispered in Garrett’s ear? Or would a decoy have enticed him to make another 20 yards for a shot. Who knows? That is turkey hunting, so many infinite variables and situations. It keeps you coming back for a slice of humble pie each and every time!! To Decoy or Not……That is the question. Well I’m not Billy Shakespeare with great lines of prose on the subject, but I have read a fair amount and have had more than my share of experience with decoys. Let’s start out with understanding what a decoy is and what variations they take. I started out turkey hunting for years with a simple foam hen decoy from Walmart, as that was all that was available in the 1990’s. Nothin’ frill or fancy, just an alert hen decoy. As the technology got better, manufacturers started making jake and gobbler decoys, various versions of hen decoys in postures such as alert, feeding, and submissive breeding. All these decoys were stationary and motionless for many years. Then some manufacturers added swiveling on the stake capabilities in a light wind to give the effect of motion. And then some manufacturers took things to the extreme and made motion decoys, particularly jakes with a moving tail fan and rotating body. Heck some decoys now shake and decoys sometimes come in small flock sets. 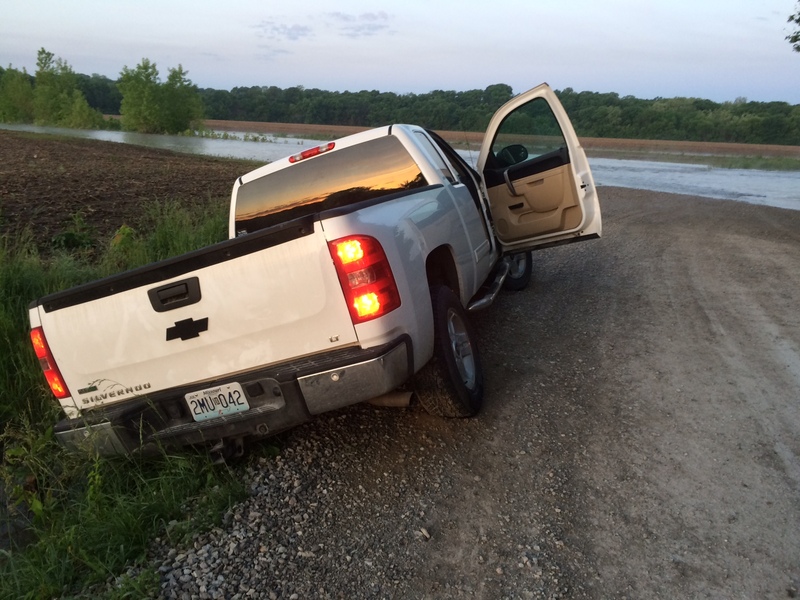 Some decoys are collapsible, which helps tremendously with reducing the equipment load in the field. Some decoys are now molded to have 3D feathers and look astonishingly realistic. The one thing about decoys you can’t get around is that they are something else you have to carry with you in the field, another impedimenta. I am personally against carrying anymore than absolutely the bare minimum if possible, but that is hard to do. So what is the purpose of a decoy as it relates to spring hunting? In theory a decoy is supposed to help attract a gobbler within closer gun range because not only do gobblers hear calling, but they see the source of the calling. Any many hunters have killed gobblers over decoys. They are known to help increase success; however, there are many times they can prevent success. I’ve seen it happen many times. Let’s go back to basic turkey biology 101 and forget about what someone wants to sell you for a few minutes……During the breeding season, a gobbler calls from his tree roost, to attract nearby hens to his breeding lek. Hens typically fly down and go to the gobbler on the ground. The gobbler then struts and displays, often drumming and spitting to further entice hens into breeding. So again, basic turkey biology 101, the hen almost always goes to the gobbler. So when your hunting and have a gobbler fired up and on the move to your calling, the gobbler sees the decoy or decoys. What does the gobbler do? Sometimes he keeps coming, but what about those times he stops and struts for 40 minutes without moving so much as ten feet and he’s 80 yards out, well out of gun range. I have had it happen to me many times and it’s so frustrating. Why did the gobbler stop? Could he have seen something suspicious, like you swatting at a mosquito? Is your decoy not realistic enough? Or could it simply be…..drumroll…… that he is doing what nature programmed him to do for millions of years? Put on a display and let the ladies approach. Could it really be that simple. The answer is yes. When a gobbler sees a decoy, quite often he stops dead in his tracks and struts, not moving an inch until he realizes there is no interest by the immobile hen and he moves on to bigger and better things. Or quite often gobblers and/or hens when they get in close to a decoy or spread of decoys, say 50 or 60 yards, become suspicious and shy away or bend around the decoy(s). I have had this happen quite often as well. Just the other morning, I had a single gobbler with a small group of hens come slowly to my calling. The gobbler and most of the hens became suspicious at 58 yards and bent off to my left back into the woods. One lone yearling feeding hen milled out in front of my decoy for 45 minutes. The other hens and gobble never came back out. So what do you do? I don’t have a silver bullet to give you. There are too many factors and possibilities, but I do believe in the K.I.S.S. principle. Keeping it Simple Stupid. I think the easiest solution is to first know the birds habits and typical roost sites before you hunt. That requires scouting; an intimate knowledge of your hunting location and its boundaries. If you can locate general roosting and gobbling areas, signs of recent turkey activity like footprints or strut marks, or even specific roost trees, you’ve done 60% of the hunt. If you do decoy, try just using a feeding or alert hen. Then maybe switch it up with a breeding hen. Here is an alternative….Try hunting without decoys. I now almost always first trying hunting without decoys and try to be as well camouflaged in my setup location as possible. I think the setup, or where you sit, is next most important part of the turkey hunting equation. Turkeys are curious animals and when they hear turkey talk from your calling, they will eventually come and investigate. When setup correctly to see a turkey approaching and have a shooting lane ready is so important. When they don’t see the sound source, they will often walk around looking to identify the source for at least a few minutes. Gobblers do this in search of that lonely hen that he can’t resist. His reproductive drive keeps him moving and looking around until he loses interest and not within shooting range, or he puts himself within shooting range and you get a shot at him. If he is out of range, try soft yelping or soft clucks to help pull him within shooting range. Whether or not your successful using this strategy is up to the bird and your closure skills. 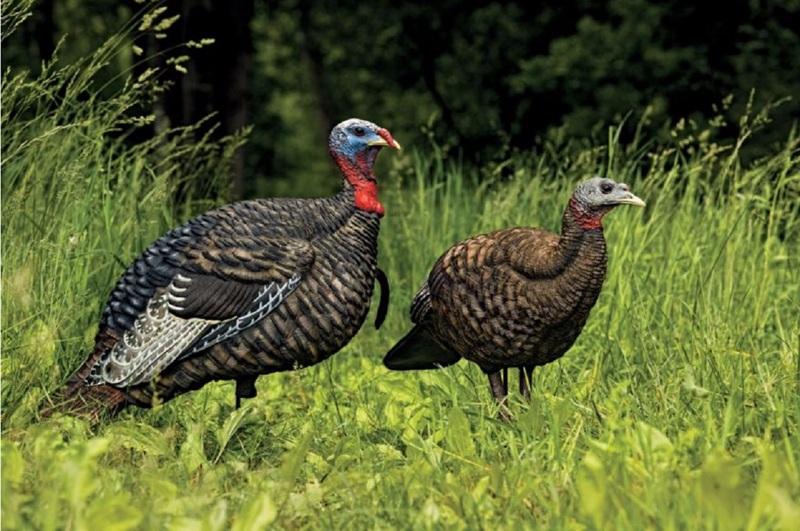 If you’ve pulled a gobbler in close, within 40 yards, you’ve performed marvelously. I’d call that a success. Hopefully you can pull the trigger to have big tales to tell. More than anything, if you don’t use a decoy and are not successful, I think you’ve “done no harm” by educating him with a motionless decoy. He will be there another day to duel with. That is what keeps me going back for a piece of sweet humbling pie each day I turkey hunt. Thursday morning, second week of the Missouri season, finds me en-route to Walker, Missouri to hunt at my friend Chuck’s place. Chuck and Gina Naas own about 60 acres, running about 35% timber. Chuck and Gina live here and early after they purchased the land, he jokingly name it The Six. This means if someone else bought the land, they would have subdivided it into six, ten acres lots. Chuck and I go back to our college days at Northwest Missouri State. I have hunted the Six for nearly eight years off and on. Chuck and Gina have graciously let me stay at their home a few times during spring season. Most years there are birds on his place. It is very to access. A decent riparian corridor exists along the creek, with scattered pecan trees in the bottoms. It is a great place to take a kid; however, you need a ground blind. I have taken my kids down there several times. As always, I have to leave at 4:20 to arrive at 5:26. One hour and six minutes exactly. Besides the long drive, once I get there it doesn’t take more than three minutes to walk in. I decide this morning to simply pick a big tree on the east side of the bottoms and face west. The bottom runs maybe a quarter mile north to south and I’ve had turkeys roosted all along the east side in years past. This morning it was a dead zone. No gobbling, no hens, no nothing. I try hunting an overgrown patch above the creek south of his house and with the same result. I depart at 10:oo. Before I drove down he told me he’d been hearing a few off and on. I don’t know if the populations are down, or the birds are simply using different property this year. The weekend weather forecast again looks abysmal for Walker. I decide to focus my efforts back over in Kansas at Stranger 157. This is the second year in a row I have not harvested a bird in Missouri. It certainly doesn’t help that places I hunt are small, but I do believe harvesting a bird is possible even on small acreages. This will be the one and only time I hunt The Six this year. Rain and winds have hampered the days I’m available to hunt. I shall return for redemption in 2017. Late in the second week of Missouri’s spring season, I stole a Thursday morning off work when the weather was good. I headed back down to Pistol Gap to duel with Grand Canyon gobblers. I arrive this time at 5:15 as daylight is getting progressively earlier. Having parked and set up under the same tree I did the previous week, I heard two gobblers start distant gobbling to the west at 5:50 am. It was apparent they probably had hens nearby as the gobbing ceased at 6:15…I call periodically until 9:30 while reading from Tom Kelly’s Tenth Legion. Later after reviewing an aerial photo, I learn the west adjoining land owner had a green food plot opening on the hill above the bottomland forest. I suspect these Grand Canyon turkeys like to either fly down in this plot, or use it as a strut zone after fly down. Aside from waiting these birds out until late morning to see if one will get so fired up he would cross the Grand Canyon, I hang it up. I decide to hunt at my friends Chuck’s place tomorrow after becoming frustrated with these Grand Canyon birds. As I drive out slowly down the old Frisco line rail bed, I carefully look for signs of turkey on adjoining property and think intently about how to improve success. I contemplate if there are other places I should investigate on the Camp Branch Creek property that has some semblance of open ground cover and nothing comes to mind. I just don’t know why my side of the creek seldom has roosted gobblers. The bottomland forest is nearly identical on both sides in terms of tree size. There may be a few larger sycamores on the adjoining property that they select for, or maybe it’s the food plot. The access road on my side of the creek is a good place for a gobbler to fly down in early spring. I just don’t have an explanation. Over the years I’ve called in several hens, a flock of jakes, and one walk-on gobbler. Unlike some other places I hunt, there are no real mowed trails for humans or wildlife to use, it’s just a jungle. I will come back though, in hopes of making one fly across the creek. I think next year I will try an new tactic. I will walk in first thing and go about 80 yards further east into the woods, wait for the first gobble and yelp a little. If he is on the opposite side of the creek, I will give him the silent treatment and move west towards the creek. Then yelp loudly at the creek, fall back 40 yards and yelp again. Alternately, I may have to scratch this property in the future.